With the flip of the new academic calendar and under the supervision of our director, BIT Sindri is all braced up to reclaim its previous glory. Continuing with the tradition of furnishing not only an academically excelling but also culturally stimulating atmosphere, the clubs of BIT Sindri have joined hands for the same. 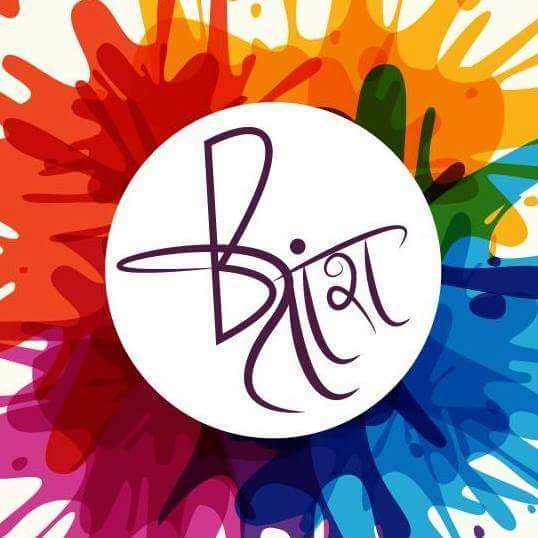 Under the light of the fact “All work no play makes jack a dull boy”, a 3-day mega event – joint venture of GRS, Arts Club, LEO Club with the name BITAANSH has been scheduled from 18th – 20th March. 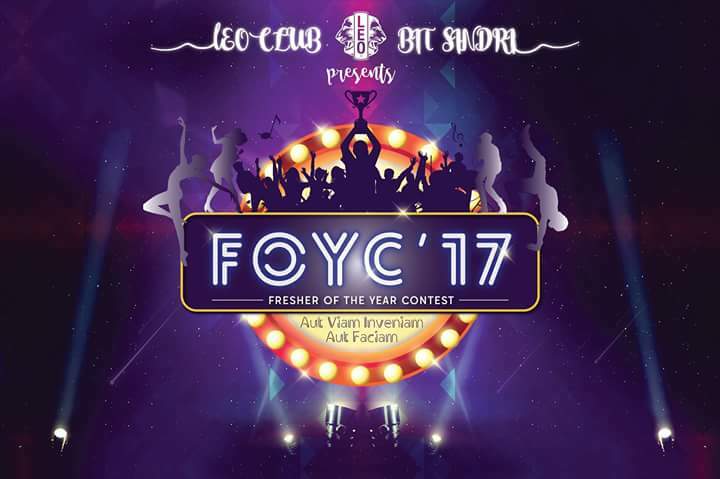 The most anticipated event of the year, FOYC is organised by LEO club exclusively for the freshers. 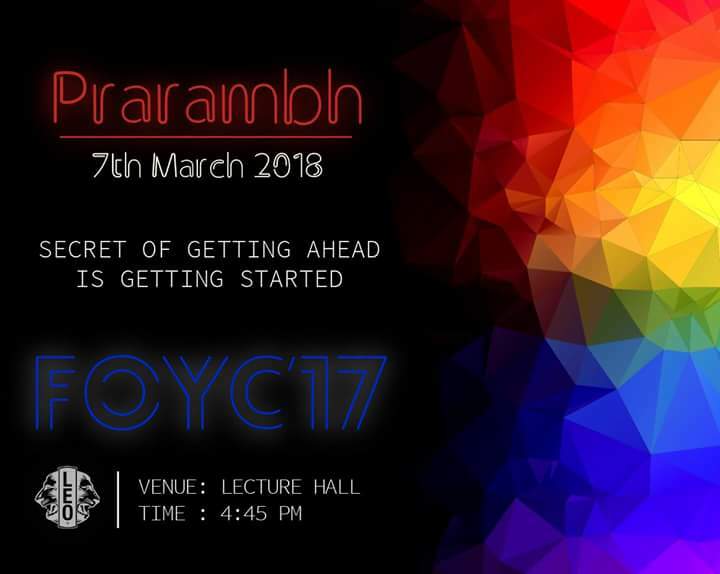 Prarambh, a pre-event which marks the beginning of the FOYC was held at Lecture Hall Complex on 7th March, and got the ball rolling for the upcoming extravaganza. It started with Leo pledge, followed by flag invocation and 1 min silence for maintenance of world peace. Packed with riveting sections like Ship Wreck, Extempore, Vocabulary and Round the Globe, Prarambh commenced with a General Meeting of the club with Freshers. Well, the exhilarating and apprehensive faces of juniors was a testimony to the ecstacy of the event. 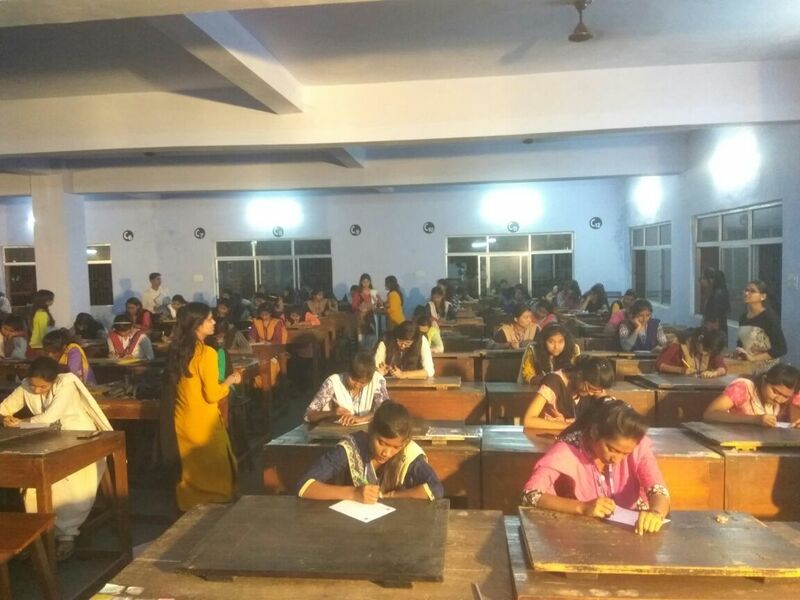 Prarambh test is basically a Pen and Paper test of 20 minutes consisting of GS and Aptitude questions to check the mettle of participants. The best performing 55 students are to be selected through this. 5 people from PFOY, and 5 from 180° are also included to complete the quorum of the ELEGANT 65 to be announced on March 17th. The ELEGANTS move on to the second round Visuala De Illuminati, the wrap-up of which trims the contestant pool to 12. They further participate in Have It In Your Own Way to adorn themselves with the most coveted title of BIT- FOY. And this is just not the end of it. Various sections in FOYC like Silver Screen and Rococco provide a platform to exhibit acting skills. Alongside, Karaoke and Anybody Can Dance render a stage where the freshers mesmerize the crowd with their dancing and singing. 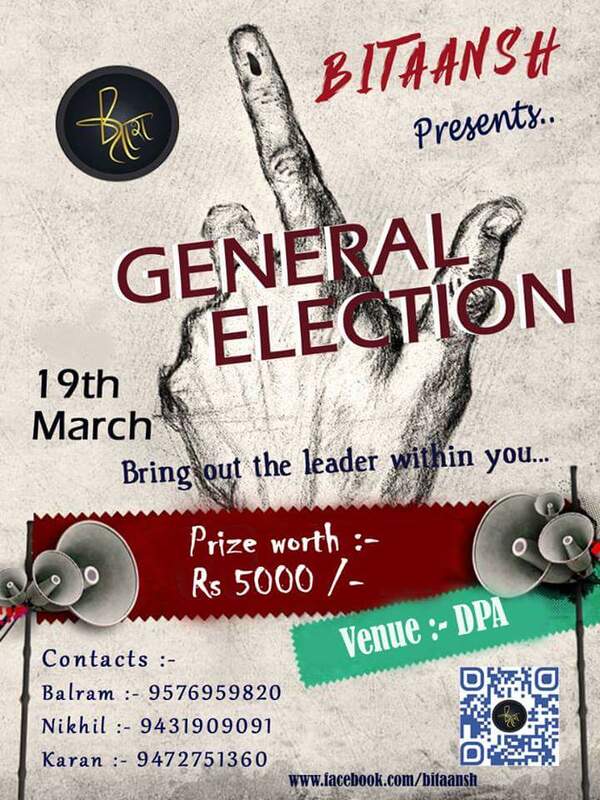 Coming to the next stage, a series of fascinating competitions like Sidhi Baat, General Election, Director’s cut give an opportunity to flaunt the oratory, leadership, movie making and enterprising skills respectively. The music and arts fraternity, Arts Club plans multitude of events where anyone can perform on the stage and amaze the audience by their dancing, acting and singing skills. There is nothing more surprising than surprises itself and the organizing team has a big one for us – the Performing Star in the Celebrity Night. So guys ! Sit back and buckle up to experience, cherish and cheer in the cultural extravaganza, for it’s Show Time. Participate profusely and manifest the atmosphere of our institute to make it come alive.